(Beijing, 10 November 2017) – EAST, Beijing is delighted to introduce an all new Kid’s Corner at the award-winning market-style restaurant Feast (Food by EAST). With the newly expanded Kid’s Corner, we believe Feast (Food by EAST) will be one of the most favourite destinations for families. 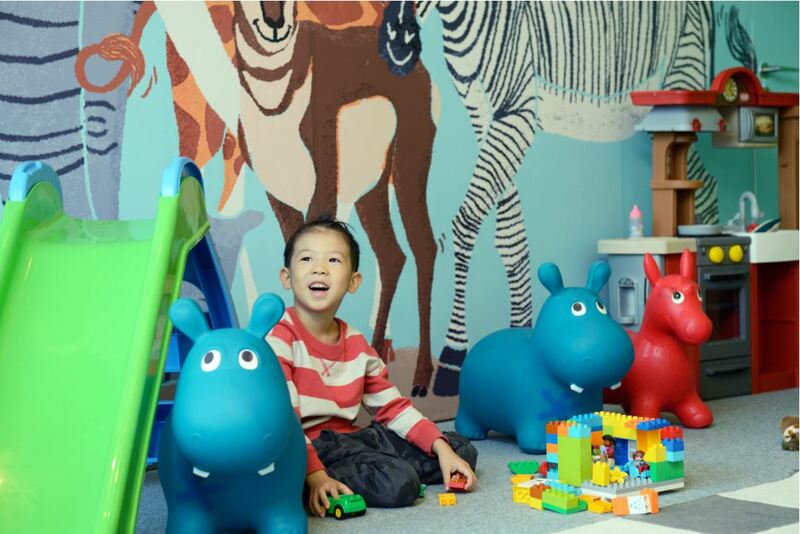 The 36 square meter Kid’s Corner features a huge assortment of play sets, picture books, legos, play cars, train sets, toys with popular cartoons and the latest kid’s movies screening. The all new Kid’s Corner makes for a feast of imagination for little explorers while mom and dad can indulge in the thoughtfully prepared and well-balanced global cuisine at Feast (Food by EAST). The Kid’s Corner is open daily and free for all children. Attentive adult supervision is provided during weekend brunch. Whether it is a casual midweek lunch with friends, a weeknight dinner with the family or a long weekend gathering during brunch or Surf & Turf dinner, feel at home anytime with Feast and the all new Kid’s Corner. For inquiries, please call +8610 8414 9820.